A boundary-breaking concert matching jazz legend Duke Ellington and neoclassical composer Igor Stravinsky seemed too tempting to miss. The Jump for Joy concept (according to Jeremy Berkman’s Program Notes) was inspired by journalist David Schiff’s essay in the Atlantic Monthly in 1995. The author suggests that the Russian composer may be closer to Ellington than his celebrated predecessors. After all, there is a notable parallelism in both their careers and their lives; it’s also likely that the two men were in the same building at least once (at one of Ellington’s many Cotton Club gigs). 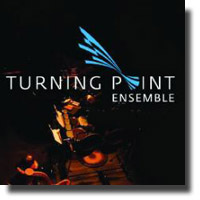 The Turning Point Ensemble (TPE) started with Igor Stravinsky’s Octet, and as its title rather obviously implies, is composed for an eight piece ensemble comprising of three pairs: bassoons, trombones, and trumpets with solo flute and clarinet. The opening Sinfonia employs the sonata form, with the Ensemble’s playful interpretation clearly demonstrating Stravinksy’s special penchant for explorative notation. The syncopated rhythm in the third (and final) movement is reminiscent of Stravinsky’s own The Rite of Spring. For the second piece, the eight musicians were joined by the rest of TPE for Duke Ellington’s The Clothed Woman. Fred Stride’s arrangement of this urban soundscape is essentially faithful to the original, though he included a vibraphone section played by Vern Griffiths. By contrast, Jane Hayes gives a lusty solo piano performance to Stravinsky’s Tango. Written for its hopeful commercial appeal shortly after arriving in the U.S. after fleeing his adoptive country France; it barely recognises the distinctive rhythms we’re accustomed to with popular South American tango. Jazz singer Jennifer Scott joined the Ensemble for The Blues; an excerpt from Ellington’s first ever long-form work Black, Brown and Beige. Scott’s bluesy vocals certainly added weight to this stunning piece that also featured some cool passages from Caroline Gauthier’s bass clarinet. The Ensemble kicked off the second set by taking the audience on an exhilarating three minute train ride with Ellington’s evocative Daybreak Express. Fred Stride’s clever arrangement utilizes a woodwind section that replaces saxophones with the engineer’s whistles provided by Jeremy Berkman’s muted trombone. François Houle gave us a virtuoso solo performance on Stravinsky’s Three Pieces for Clarinet. Houle’s playing substantiated the composer’s special interest in jazz music. I did, however, find the incidental recorded voice-over, which presumably belonged to Stravinsky himself distracting. Perhaps the best example to compare these two musical legends is with Ellington’s ethereal On a Turquoise Cloud and Stravinsky’s supernal Pastorale. These “songs without words” were performed back-to-back with the incomparable Ms. Scott vocalizing. Squeezed in with all of these early twentieth century gems were a couple of pieces composed in 2012 – yes, this year! An entire jazz suite by Brad Turner entitled Seven Scenes from a Childhood received its premier public performance at the end of the first set. It’s often difficult to evaluate a piece of music on hearing it for the very first time, but I found Turner’s epic oeuvre quite accessible. I particularly enjoyed the empyreal sound of Heidi Krutzen’s harp in the first movement and Tom Shorthouse’s trumpet solo in the suite’s aptly titled sixth movement, Imagine How Good You’d be if You Would Practice. On the other hand, the other premier public performance, Dave Douglas’ loosely scored and chaotically structured Sand Hill still seemed to be at the experimental stage.